A glossary for the technological features of Wirez Products. Click on a term to view a description. 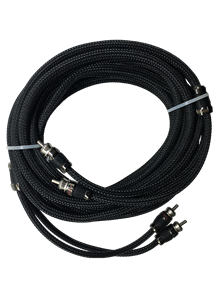 M2 Max Flex Max Flow power and speaker wires are designed to provide current flow for the best power transfer and efficiency possible for your amplifier. 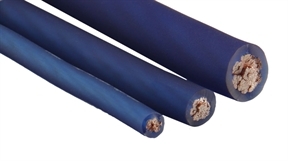 Max Flex power and speaker wire features a high flexibility translucent PVC jacket that is rated to resist oil and gas as well as exposure to temperatures up to 105ºC. You get the best possible performance and protection for your system while making installation easy thanks to the flexible jacket. Wires built from pure 100% Oxygen Free Copper provides the highest possible conductivity for maximum system efficiency and performance. 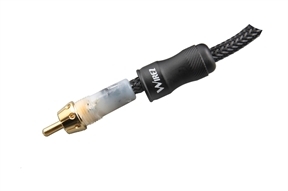 When you need absolutely every Watt out of your amplifier, the choose Wirez True OFC Construction power wire. 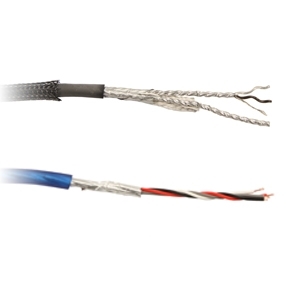 OFC Conductors offer ~30% less resistance as compared to CCA (Copper Clad Aluminum) cables. T2T stands for Tip to Tip design and features end to end noise rejection technology by coupling a multi-strand drain conductor with a Metalized Nylon Shield. 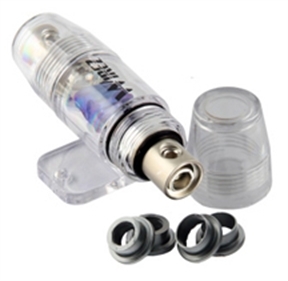 This encompasses the entire length of cable and serves as a nearly impenetrable shield to electrical noise. The purest musical experience possible. 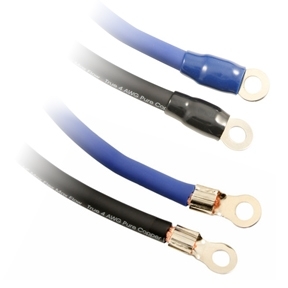 Wirez Signature Series Interconnects feature dual grounded shields inside the cable. This ensures the maximum possible noise rejection for the best possible signal-to-noise ratio. Signal wires are twisted together to create geometry that puts each at 90 degrees to the other. This helps to reduce cross-talk through inductance. Improved signal quality due to reduced imposed common mode noise. The tip of the Interconnect cable has been injection molded after the conductors are soldered in place and checked for continuity. No chance of the conductors accidentally being pulled out of the Tip during installation for increased reliability. The Metalized Nylon Shield is a polyester film surrounding the conductors within the Interconnects and serves as an electrical shield to EMI and RFI noise. Part of the M2 Max Flex Max Flow design is a Matte Translucent PVC Jacket. 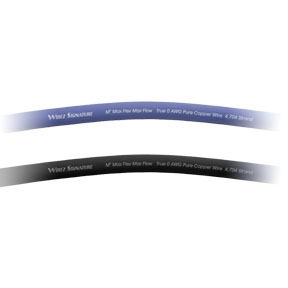 This jacket is rated to withstand oil and fuel contamination and will withstand temperatures up to 105 Degrees C.
Good looks and reliability in a wire that is easy to install. The Nylon braided Jacket on the Signature Series interconnects provides the maximum possible resistance to scuffing and abrasion while looking cool. Resistance to damage for long life and cool looks! 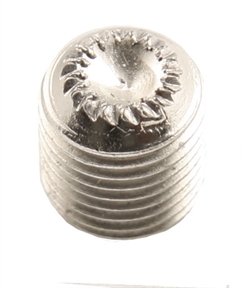 Grip Tip set screws feature a knurled tip that digs deep into the wire. 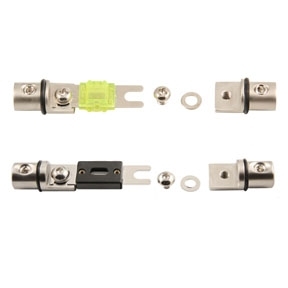 This ensures the tightest possible connection and prevents the set screw from coming loose and causing system performance issues. The ANL Fuse holder features an impressive 4 stage water intrusion protection consisting of gaskets integrated around the wire and end-caps. You are ensured of perfect reliability and long-term performance for years to come. 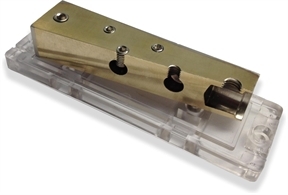 The Mini ANL Fuse holder features an impressive 6 stage water intrusion protection consisting of gaskets integrated around the wire, end-caps and connection blocks. 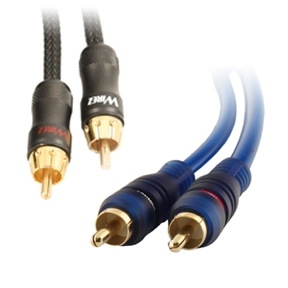 Wirez amplifier installation kits come equipped out of the box with a machine crimped terminal on the end of the power and ground wire. Eliminates the need to purchase a costly crimper and allows for quick, easy and reliable installation. Wirez distrubition blocks, battery terminals, ring terminals and Signature RCA ends are machined from billet brass. This ensures both physical strength that allows our set screws to tighten without stripping or galling to ensure reliable connections in your power distribution system. Our Solid Brass Construction interconnect tips resist corrosion and ensure maximum signal transfer for the best possible sonic transparency.